NOAA Ship Okeanos Explorer at sea. Image courtesy of Art Howard/NOAA OER. Download larger version (jpg, 11 MB). 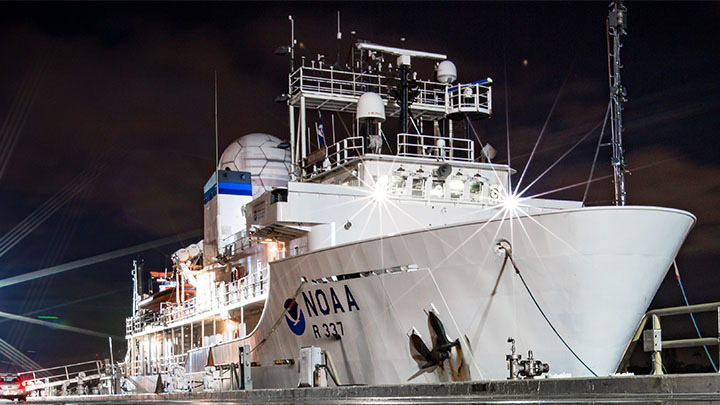 NOAA Ship Okeanos Explorer is currently in Pascagoula, Mississippi, for a repair period. Our next major expedition will commence in May 2019 and will involve mapping operations starting in Key West, Florida, and ending in Port Canaveral, Florida. For more information on 2019 Okeanos expeditions, visit: https://oceanexplorer.noaa.gov/okeanos/explorations/2019-overview/welcome.html. NOAA Ship Okeanos Explorer is the only federal vessel dedicated to exploring our largely unknown ocean for the purpose of discovery and the advancement of knowledge about the deep ocean. NOAA Ship Okeanos Explorer is the platform from which Deep Discoverer and its sister vehicle, Seirios, are operated. 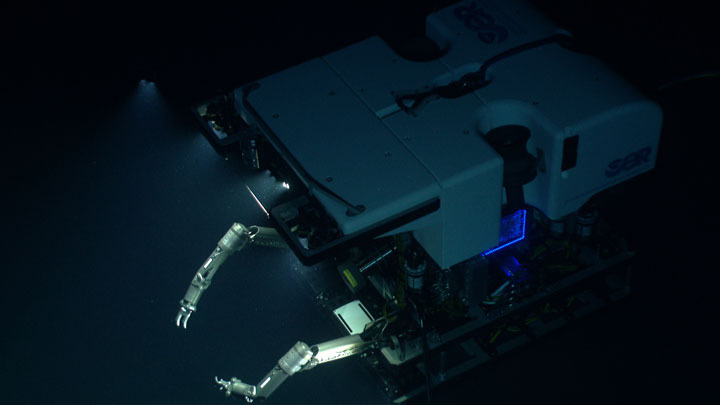 Capable of diving to depths of 6,000 meters, Deep Discoverer delivers high-quality imagery and data needed to understand the deep ocean. NOAA Ship Okeanos Explorer is operated by the NOAA Commissioned Officer Corps and civilians as part of the fleet managed by NOAA's Office of Marine and Aviation Operations. 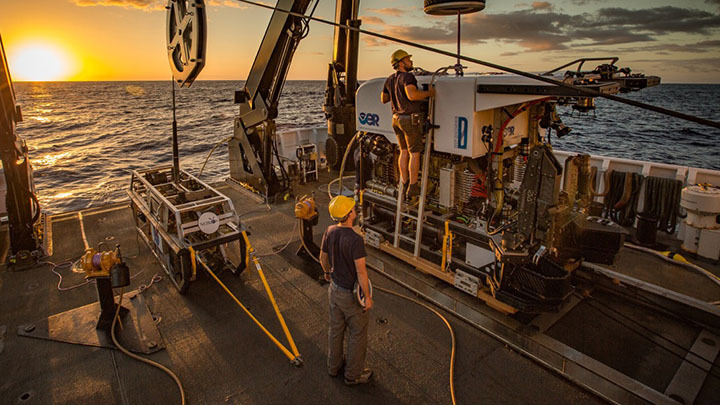 Mission equipment is operated by the NOAA Office of Ocean Exploration and Research. 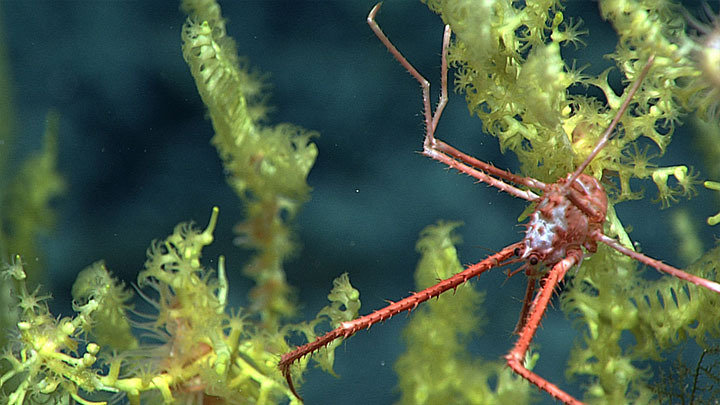 Follow expeditions on NOAA Ship Okeanos Explorer while underway or retrace past expeditions. For each expedition, you'll find information ranging from mission plans and background essays to educational materials, expedition updates, and imagery.